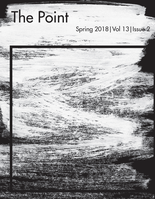 Biola University’s student magazine, The Point, was recognized in one of the most prestigious contests for college media for the fourth time in the magazine’s short history. The Spring 2018 issue of The Point has been selected as one of the finalists for the Associated Collegiate Press (ACP) Pacemaker Award this year, an award given to The Point in years past. The Pacemaker is the highest award granted for publications by the ACP, a national organization that promotes the work of student media staff and their advisers. Chair of the Department of Media, Journalism and Public Relations, Tamara Welter, is the adviser for The Point and has overseen the magazine since its inception. Students from journalism and integrated media, art, english and other majors worked together to develop compelling stories, images, and illustrations that they then compiled into an overall stellar design for the Spring 2018 issue. Senior journalism major Monica Kochan was the editor-in-chief for the Spring 2018 issue. She was excited to hear that the magazine was a finalist. Kochan led a team of editors, writers, photographers, and designers to produce the publication that was nominated. The Point was one of only a handful of campus magazines nationwide to be a finalist in the Pacemaker Award competition, reflected as “the best of the best” student publications. In past years Pacemaker finalists have included schools like the University of California Los Angeles, University of Wisconsin Madison, Drake University, Syracuse University, University of Oregon, and Virginia Commonwealth University. The Point has been selected as a finalist three other times in their short history, receiving the Pacemaker Award one of those times. This year's selections were announced at the ACP/CMA conference in Louisville, Kentucky, in October.